Park your car at the vista point on the road above Emerald Bay. The views are amazing and it’s worth your time. Once you valve enjoyed the views from the top, hike down to Vikingsholm Castle. The trail is very easy and kids can easily hike down as well. Take a guided tour of the inside of Vikingsholm. It’s a really interested building with original furniture from the 1920s and 1930s. The Emerald Bay vista point gives you amazing views of Emerald Bay and Fannette island from on high. Fannette Island is the only island on the entire lake. 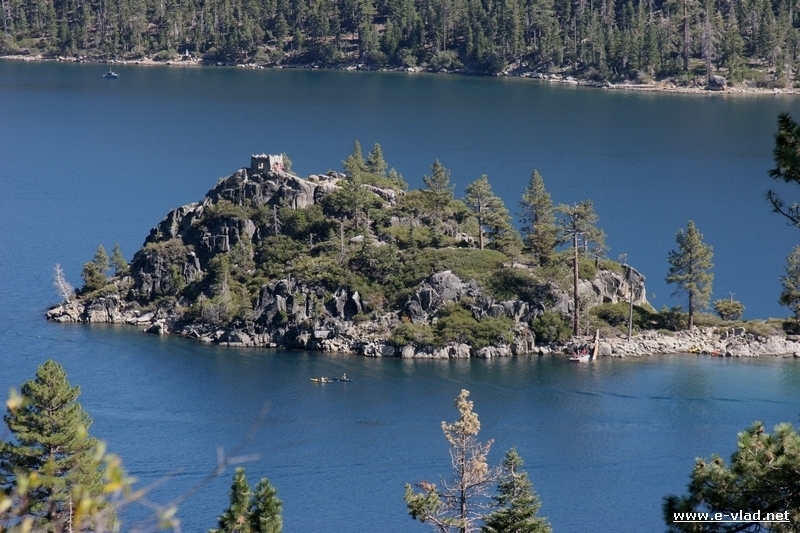 Another great way to see amazing views of Emerald Bay, is to actually hike down to Vikingsholm. 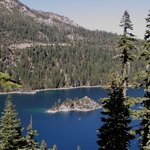 The trail gives you many opportunities for amazing pictures overlooking Emerald Bay. Lake Tahoe – Fannette Island seen from the trail leading down to Vikingsholm. If you’re planning a trip to Lake Tahoe you can find discounted hotel rates, or you can book my favorite South Lake Tahoe hotel and also read my travel guide for Vikingsholm. Take the 40 minutes easy trail down to the lake level and you will be walking right behind Vikingsholm. This is a genuine Nordic Viking castle right on the shores of Lake Tahoe. You can also take a guided tour for $10. It is a very interesting building with great history and mystery. 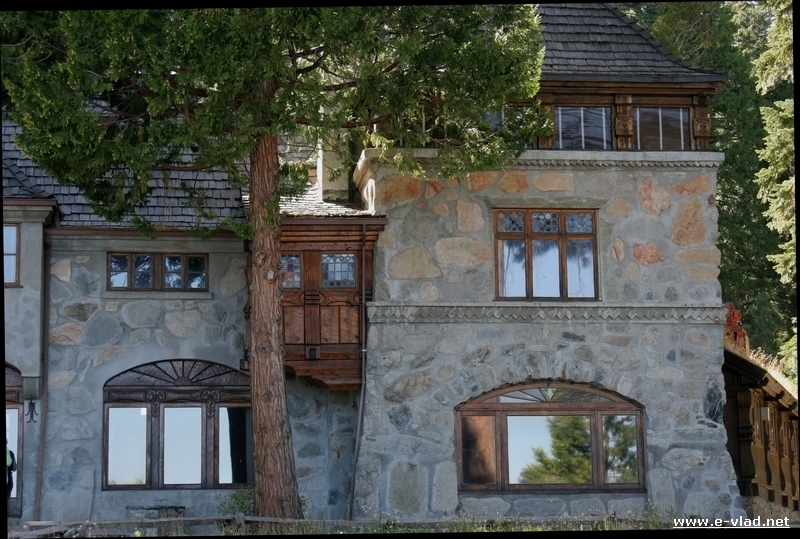 Lake Tahoe – Vikingsholm is a beautiful Scandinavian castle overlooking Emerald Bay. We took highway 50 from Sacramento to Lake Tahoe. Once you get to Lake Tahoe drive on the west shore of the lake to get to Emerald Bay. The road to Emerald Bay becomes very steep and winds up and down through the mountains. Look for signs indicating Emerald Bay vista point and stop there for a while. Emerald Bay was the highlight of our visit to Lake Tahoe. The views are just amazing and hiking down to the lake level gives you an amazing perspective of Lake Tahoe. The beautiful views and the very interesting Vikingsholm Castle made for a great day at Lake Tahoe.